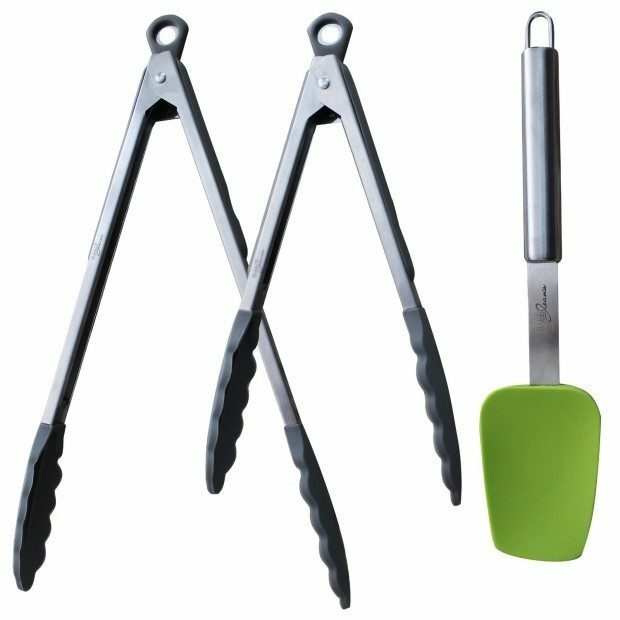 Bobbi Jean's Cooking Tongs & Spatula Only $15.97! Down From $30!! You are here: Home / Great Deals / Amazon Deals / Bobbi Jean’s Cooking Tongs & Spatula Only $15.97! Down From $30!! Bobbi Jean’s Cooking Tongs & Spatula Only $15.97! Down From $30!! Head to Amazon to pickup the Bobbi Jean’s Silicone Stainless Steel Cooking Tongs & Spatula Only $15.97! Down From $30! !